It was sometime between my first battle with an Uruk captain and overthrowing my first war chief that I realized something was special about Middle-earth: Shadow of Mordor. While the gameplay itself was fantastic, it was something in particular about the game's enemies that struck me. Each Uruk had a unique name, appearance, and set of weaknesses, strengths and fears. Each Uruk had its own personality that was only present in my game. If I fell in battle to one, he made sure to let me know the next time I saw him -- in alarmingly specific detail. This is all thanks to Monolith's Nemesis System. What the Nemesis System has managed to accomplish is something extraordinary -- and noticeably lacking in many other of its AAA game brethren: perceived personalization. It wasn't a matter of going after these Uruks because the game said I had to -- I went after them because I wanted to. For sweet, sweet vengeance. It was no longer purely a game mechanic. It was personal. 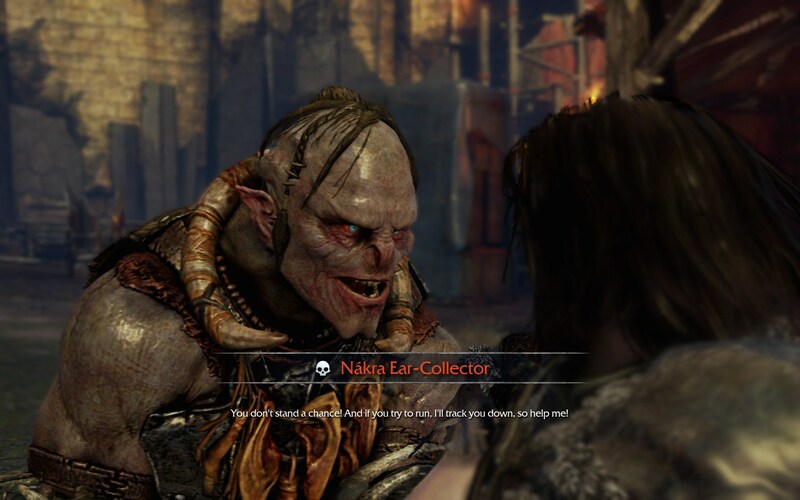 It was as if I KNEW the Uruk and he existed purely to antagonize me and make my life more difficult. All of this made it that much more satisfying by the time I was able to exact my revenge by parting his head with his shoulders. You see, Monolith has stumbled onto something utterly brilliant. Mechanics that go a long way in making you, the consumer, feel like you're having a completely unique experience. At its core, the Nemesis system is essentially a bank of possible names, attributes, personalities and sound bytes that combine to form randomly created characters. But it's how it all comes together to form a cohesive experience that's where it really shines. You could apply this same logic to attributes in product design, custom web experiences, or experiential events. If you feel like you're the first and/or only person to experience something, how much better of an experience is that compared to a one-size-fits-all approach? By creating something truly unique, you're creating social currency and empowering your consumers to speak on your behalf. But why perceived personalization? Isn't it just personalization? Yes and no. Yes, the experience is unique and personalized to me, the end user. But where I see the differentiation is the fact that it's unique without any additional input from either the development side OR the user side. It's a highly sophisticated automated system that makes me FEEL like it's built specifically for me. That's the magic. And something I believe we are going to start seeing even more in 2015. Disclosure: I worked on a marketing program with WB Games and GameStop to promote this game, however, all opinions and commentary are mine and mine alone.